das Blog: Alehoof in bloom - Spring is coming! This plant is nothing to do with the ivy family (Hedera) but is in fact a member of the mint family, and in particular the Nepeta, or cat mints. Actually, another name I know this plant by is catsfoot, alluding to the shape and soft furry feel of its leaves. Its soft leaves are full of essential oils that give them a mildly peppery flavour, and in the past the plant has been cultivated as a culinary herb. The settlers of New England valued it so much in this respect that they took it with them on their boats and introduced it to America. The leaves are also rich in vitamin C, and helped fend off scurvy on the voyage, as well as being a good source of the vitamin in early Spring salads. Ground ivy has also been much used as a medicinal herb for thousands of years, most generally as a stimulant, tonic, diuretic, and against colds and flu. It's bitter principle also staunches bleeding and the excessive flow of bile. It's name 'alehoof' derives from its use by the Anglo-Saxons in beer-making, as a bitter flavouring and preservative before the introduction of hops. You can see the idea of the hoof in the shape of the leaves. The German name for the plant is 'der Gundermann', where 'Gund' is Old High German for 'pus', 'blister' or 'swelling' the allusion being to its medicinal use. It has a superstitious use in Germanic folklore as a magical plant able to provide protection against all kinds of things, and to ward off the plague and even witches. Ground ivy woven into a wreath is indispensable headwear on Walpurgisnacht (April 30th) when the witches hold their Black Sabbath, and you can see and detect them by peering through the ivy leaves. Putting a wreath onto the head of a witch seems to have been considered about the same as pressing a crucifix to the forehead of a vampire. I have not tried it on myself (!). In mediaeval times ground ivy was also a protection for cows in so-called Milchzaubern, or 'milk (magical) spells'. 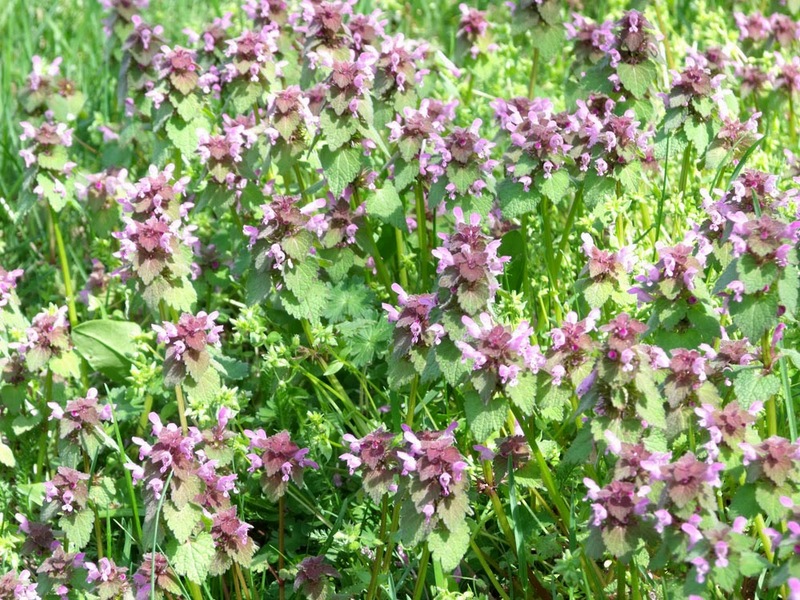 The practical reason is that ground ivy is one of the first vitamin-rich leaves to appear in early Spring when cows are first put out to pasture, and so it is good for them to graze on it. The superstitious reasoning extends to putting wreaths of it around cow's necks to protect against disease or malicious witches, and to sieve the milk through the wreaths to import ground ivy's magical protective powers to the milk. Actually, that's not such a ludicrous idea, as the fat in the milk will absorb the essential oils of the leaves and would have a stronger medicinal effect than making a hot-water infusion. 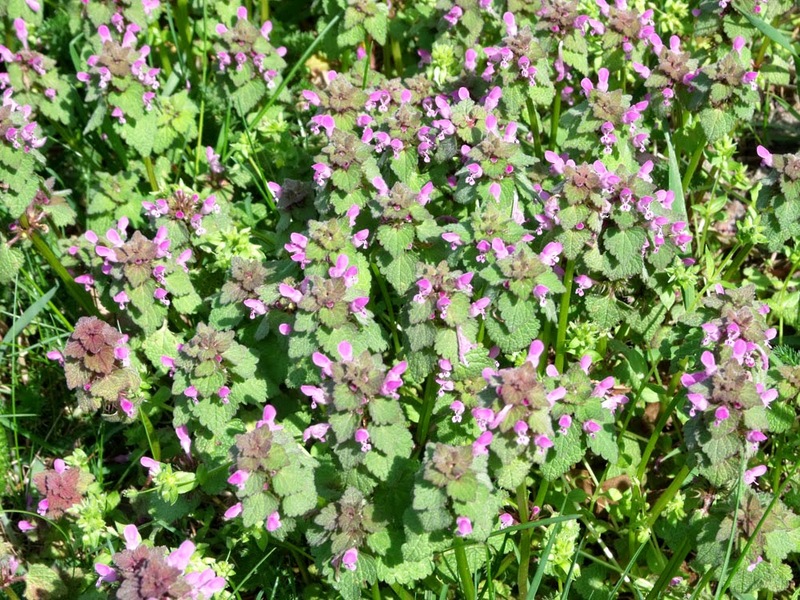 Note though that ground ivy is actually poisonous to horses, who should never be allowed to graze on it. Another, amusing, German name for ground ivy is Heckenkieker, or 'hedge spy-glasses' from their location and their telescope-like flowers peeking out at you, like lots of little Stasi watch-towers! Whatever the superstitions and medicinal uses , alehoof is a most welcome sight and tells us that Spring is on its way.